The St. Francis women’s basketball team defeated Lafayette Leopards 74-52 on December 20, 2013, making this the fourth straight victory for the women and are 8-2 for the season. With this win, the women’s basketball team has had their best start over a ten-game stretch since the 1976-77 season. This game is also the fourth in a row where four players finished the game in double-figures. Eilidh Simpson had a game high of 24 points, tying her career high. Jaymee Veney finished with 15 points, Katie Fox finished with 13 and Sarah Benedetti finished with 10 points. In the first seven minutes, St. Francis had a 12-4 stretch and over six, were able to use an 11-5 run to their advantage, cutting the deficit to two with the score of 23-21 with 3:45 remaining in the first half. At the halftime, the Terriers were up 33-28. Once the second half began, the Terriers managed to pull away from the Leopards and at the under-16 media timeout, the Terriers were up 43-30. Lafayette managed to cut the deficit to twelve at 50-38. Finishing the game, the terriers had a 24-14 run, making this their third straight game where they scored 70 or more points and the second of the three games where they defeated the opponent by 20 points or more. 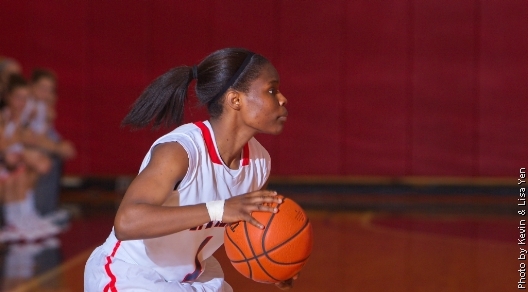 The women’s basketball team’s next home game will be January 4, 2014 at 2 p.m. in the Pope Physical Education Center.